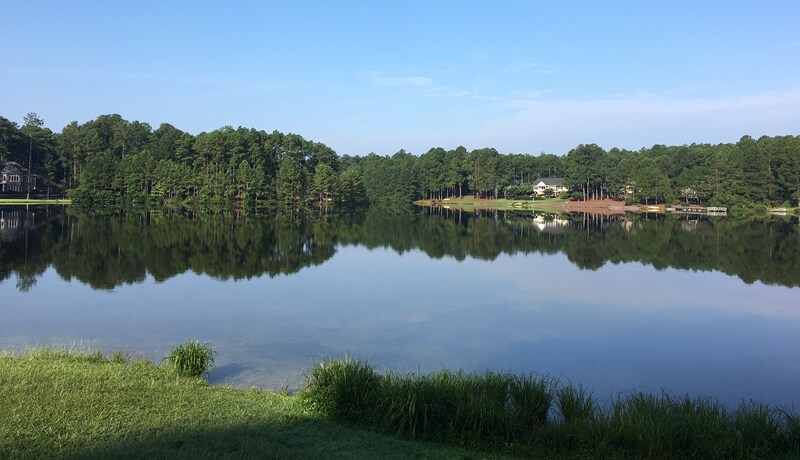 You can choose between a gorgeous golf site, a picturesque site on the lake or a serene forest site. If you’re looking for a home in the Pinehurst area, there is an excellent selection available. See for yourself why over 825 families have already made Pinewild their home. Call for an appointment today. championship courses; The Magnolia & Holly; also the 9-hole Azalea Course, and even a 3-hole practice course. Right in the middle of Pinewild’s 2,025 acres is the beautiful Clubhouse, which offers a pro shop, dining room and a 25-meter Olympic pool, plus Har-Tru tennis courts. In addition, there is a 35-acre Lake Pinewild for fishing, swimming and canoeing. Call the Real Estate Office toll free (800) 826-7624 or 910.295.5700 for more information and lot tours.